What is Palm Oil & where does it come from? Palm oil is in hundreds and hundreds of different products all over the supermarket. Overall though, palm oil originates from an oil palm tree. It is classed as a very multipurpose oil because it can be separated into many different oils which all contain different properties. For example, it has been said that palm oil is now being used as an alternative to the natural fossil fuels that appear to be running low, largely as a bio-fuel in the transport industry. The oil is extracted from the fruit from the tree which contains 50% oil, more than a handful of olives, making this a very cheap product. However, this now means that companies are now using it worldwide in over 20% of the products in our supermarkets. The rain forest foundation compiled a list of different brands which use palm oil in their products, they have also categorised these into ‘Best buy’, ‘Cautious buy’ and ‘Don’t buy’. I’ve picked out a few of the more common brands and written them below. Are there any environmental issues related to Palm oil? 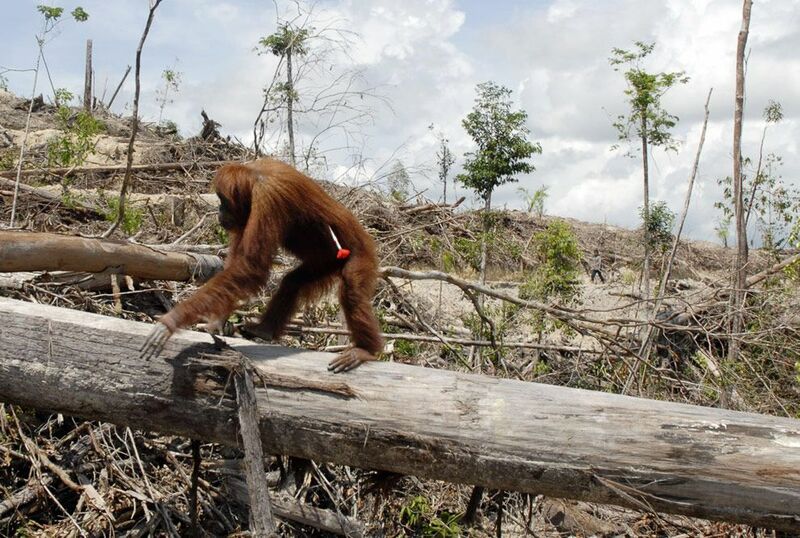 There is a big environmental issue attached to the production of palm oil. If it is produced in a monitored and a sustainable way, then there isn’t really an issue, but even today there are still some people who are producing it in an illegal way. This is happening due to farmers clearing land to make room for palm oil plantations which in turn can destroy natural peat lands that help to provide carbon dioxide and destroy habitats for a lot of endangered species such as rhinos, elephants and tigers. There has also been many different cases of orang-utans being captured and killed by the farmers who are producing this product for us. If this is not stopped then orang-utans will be extinct in the next 10 years, which is why the WWF – Worldwide fund for nature have tried to step in to address this issue and try to save them. What are the health risks of consuming Palm Oil? Palm oil can be hazardous when it comes to our health. Although a lot of plant based oils are more beneficial for our health than animal fats, palm oil is the exception to this rule. This is because palm oil contains a huge amount of calories and saturated fats. Anyone who has a diet high in palm oil is at risk of weight gain, heart problems and other chronic diseases. Humans are meant to consume a small amount of fats for them to sustain a healthy body, but palm oil contains 120 calories and 13.6 grams of fat per tablespoon. And bearing in mind that an average adult should consume between 44-78 grams of fat in their daily diet, if you had just 2 and half tablespoons of this per day you would be over your recommended daily allowance, this is quite alarming. If you have a high cholesterol then you may need to look at the amount of palm oil you are consuming. High cholesterol is usually caused by there being a large amount of saturated fat in your diet. Basically the more saturated fat, the more cholesterol your body will produce, hence it causing it to raise. Also, consuming palm oil can mean that you are at risk of a higher blood pressure as well as weight gain. There has been a study which found that if you heat up vegetable oil then it will produce free radicals which can be harmful to the body, possibly causing a chronic disease. However, if you consume palm oil which has not been heated then there is not a big impact on the blood pressure, so it may be safer to consume raw and uncooked.